Cabro Aviation has a CAA authorised examiner for undertaking training and examinations for the Radio Operator's Certificate of Competence for providing an Offshore Communication Service (ROCC - OCS). On completetion of the course and passing the two exams, an application can be made for the certificate which will be issued by the CAA. The training venue is an active helipad, this allows the attendees to gain exposure to R/T at the facilty allowing practical exercises monitoring the phraseology used. This also allows exposure to both helicopter R/T & Navigation equipment to gain an understanding from both pilot and radio operator perspectives. Comprehensive training material is handed out on the course to each participant. 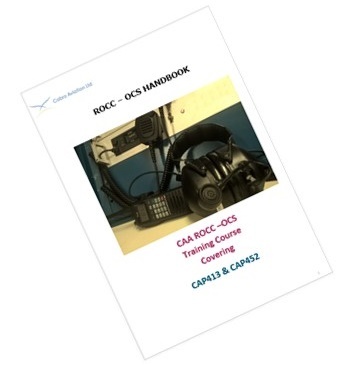 On completion of the course, a written and practical exam will take place with successful attendees applying to the CAA for the ROCC-OCS Certificate. Course dates and timings can be flexible to suit the needs of the participants.